Economists Rick van der Ploeg and Willem Vermeend don’t think the basic income, which a number of local councils want to experiment with, is a very good idea. Long ago, in the 1970s, left-wing parties dreamt of a basic income for everyone: young, old, rich and poor should all get a free, no strings attached, hand-out from the state. The amount would be around the poverty threshold, currently at around €1,000 a month. According to advocates, a flat income would do away with complicated social security schemes, such as benefits. Many would lead happier lives, their dignity intact. People on benefits would no longer have to suffer the indignities of having to apply for jobs and pesky controls would also be a thing of the past. Unfortunately for them, the idea was laughed out of parliament by a large majority of politicians. Not only would it be prohibitively expensive, it would also reward laziness, the kind of hammock scheme which would lead to fewer people in work and higher taxes for businesses and workers. And so the basic income idea – which was never implemented anywhere in the world – was quietly shelved. In the past, right-wing economist Milton Friedman proposed a similar scheme which abolished all benefits via a so-called negative income tax system. This idea, too, was relegated to the bin. Now the basic income is back. Its adherents never really gave up on the idea and here they are, 40 years on, waging a summer offensive. Over the past few weeks the media, in the middle of the silly season, offered ample coverage to enthusiastic left-wing aldermen in places like Wageningen, Nijmegen, Tilburg, Utrecht, Groningen and Maastricht wanting to experiment with local variations of the basic income in their towns. Although it is not entirely clear what these experiments entail, the fact is that they constitute an additional, far-reaching adjustment of the present benefit system. 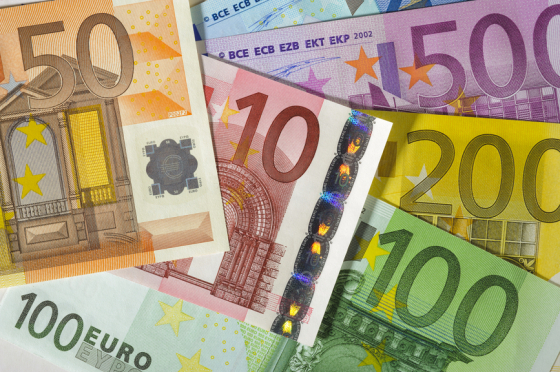 Some propose a three-year period of around €1,100 a month for people on benefits (on a voluntary basis). This money will be paid out unconditionally. There is no obligation to apply for jobs. They will receive no further financial support from the council and they will be allowed to earn extra on the side. Advocates of the scheme say that the fact their extra income will not have a negative effect on their benefits will make people want to work more. Whether this is true we will have to see but if it is, then it would be an obvious case of false competition. People with a free basic income would settle for lower pay and so take jobs from the working people who are in actual fact stumping up the money for this scheme. The lack of any controls surrounding the scheme would also promote the black economy. The experiments are in complete contradiction to the incentive-led social security policy the present cabinet is trying to achieve. For this reason alone the government should put a stop to these silly season schemes sooner rather than later. Surely local councils have better ways of spending their money. The tenacity of basic income adherents is astounding. They now want to impose it via the local councils. Any argument against this pie in the sky scheme is regarded as right-wing nonsense. They also claim that detractors of the scheme have a jaundiced view of humanity and that those economists who say the sums don’t add up belong to the classic (the right-wing) school of economy. But they forget that not only the left and the right of the political centre are against a basic income, the SP is as well. The socialists rightly fear that doling out free money will cause serious cracks in our current social security system. It is to be expected that the basic income will resurface in the election programmes of some parties in 2017. GroenLinks is almost certain to make it a campaign issue. In order to save those in favour from having to do the sums, we have done them for them. The CPB, in an earlier report, has already concluded that a basic income of half the social minimum (around €750 a month) will lead to job losses of around 350,000. A simple sum also shows that a basic income of €1,100 per month for every Dutch citizen would cost around €200bn. Minus the benefits which adherents of the scheme say can then be abolished, the cost will be much lower, around the €75bn mark. In order to cough up this money a significant hike in taxes will be necessary. Economist Raymond Gradus in his article for Mejudice put it at a staggering 25%. The adherents of the scheme don’t agree with these ‘right-wing’ figures. They think the positive effects will do much to bring down the final cost. Based on unproven and tenuous assumptions, they think many more people will return to work and that many billions will be saved on bureaucracy, care and policing. And people will be happier, they claim. That is as maybe, but adherents of the scheme must surely agree that those who have to foot the tax bill for all this free money will feel less than elated. Willem Vermeend is a former State Secretary of Finance and Minister of Social Affairs in the Dutch government and currently entrepreneur and professor at the University of Maastricht. Rick van der Ploeg is a former State Secretary for Eduction, Culture and Science in the Dutch government and professor of economics at the University of Oxford.